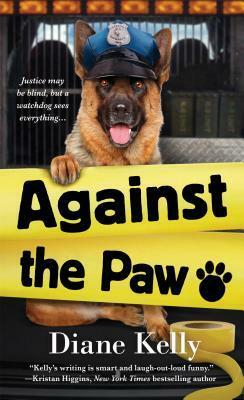 From Goodreads ~ Police officer Megan Luz and her K-9 partner are on the lookout for a convict who has been unleashed. Megan has her sights set on finding a convicted burglar who’s broken his parole and she has the perfect partner to help sniff him out. Unfortunately, her shepherd-mix Brigit’s dog bowl is already full. A peeping Tom has been spotted in an affluent Fort Worth neighborhood - and concerned citizens are looking for a few good watchdogs. To catch the creep, residents start enlisting volunteers to beef up their Neighborhood Watch group. Which is fine with Megan. She needs to focus on catching a burglar who’s still at large. But when the Peeping Tom patrol grows into a virtual vigilante mob, Megan and Brigit have to jump in paws first - before some very angry people take the law into their own hands. Megan is a police officer in Fort Worth, Texas. Her partner is Brigit, a German Shepherd. The majority of their job is patrolling the streets and responding to calls. An escaped convict is on the loose and up to his old trips ... breaking into houses and forcing the occupants to give up their ATM cards and access codes. There is also a peeping Tom going around peaking into women's windows and taking pictures. Could it be the same person? In addition to the police looking into it, the local Neighbourhood Watch is also trying to help but are more of a hindrance. Megan's roommate, Frankie, works in a grocery store and in the roller derby. She has recovered from her broken heart and is willing to have Seth, Megan's boyfriend, set her up ... as long as the guy is tall and hot. This is the fourteenth book I've read by this author and I enjoyed it. It's the fourth in the series ... reading the first one had introduced me to this author and then to her Tara Holloway series. Though it is part of a series, it works as a stand alone and you don't have to read the others to know what's going on. I liked the writing style ... it was funny and sarcastic at times. It is written in first person perspective from Megan's point of view and third person perspective from Brigit's point of view (which is funny) and the peeping Tom's perspective. As a head's up, there is swearing. I liked Megan. She's getting more confident as time goes on and her ambition is to become a detective. I find Brigit funny and likeable and determined to get rewarded with her treats (Megan has her on a diet to lose some weight). I liked Seth better in this one ... in the last one, he was too focused on having sleepovers with her. This story is happening around Mother's Day which brings back bad memories of his mother leaving his family so we see a different side of him.